Now together in one volume, The Power of the Blood of Jesus and The Blood of the Cross take believers step-by-step through Scripture to understand why the blood of Christ has unparalleled power and learn what promises were made to all believers when that blood was shed. Written in Murray's classic devotional style, The Blood of Christ examines both Old and New Testaments to help Christians grasp the truth of redemption--at the time of salvation and on through life as a follower of Christ. Blood of Christ by Andrew Murray was published by Bethany House in June 2001 and is our 13361st best seller. 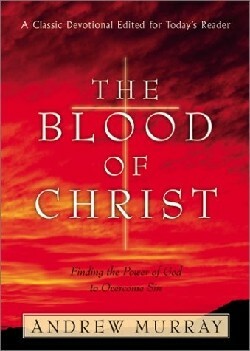 The ISBN for Blood of Christ is 9780764224683. Be the first to review Blood of Christ! Got a question? No problem! Just click here to ask us about Blood of Christ.